I don’t know about you, but this global warming is about to put a kink in my crappie fishing this year! I didn’t buy a ticket on the Siberian Express or request their kind of winters! 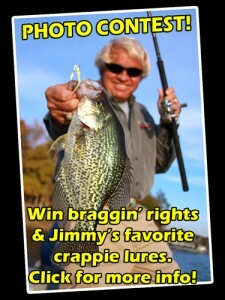 Recently, I caught a few crappie that were wearing warm gear! I know at the other end of the rod holder, the fisherman was wearing layers. 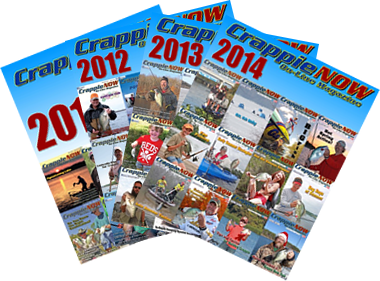 In spite of the weather, 2015 has been a good year for crappie fishing. My partner and I have already caught several black crappie over 3-pounds in Florida. The spawn across the country is being delayed due to the slow spring warm up and should make for some awesome fishing in April. Once water temperatures start to rise on your favorite fishing waters, the crappie will begin staging on the ledges near these areas and once the water temperatures reach 52-56 degrees, you should find the males in the shallow spawning areas with the females a little deeper, near these areas. After the spawn, spider rigging, pulling jigs and crank baits can fill limits quickly. New techniques and products are scoring big wins on the Crappie Master’s pro tour. I will be using Johnson Shad Cranks and have learned the new Off Shore Tackle planer board techniques to catch these roaming post-spawn fish. You will see articles with how-to on these techniques in this and the coming month’s editions. 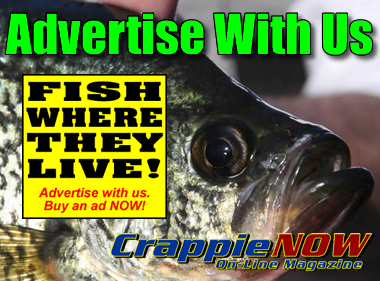 As Tim stated last month, we take great pride in offering what we believe is the best crappie online magazine available, we do it monthly, and we do it for free. 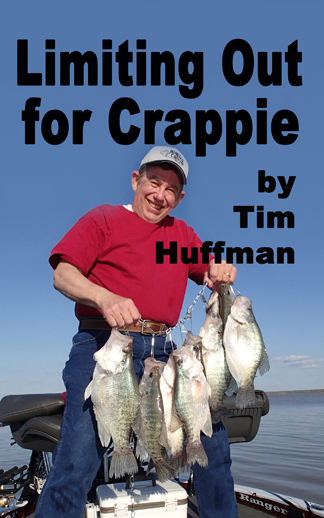 Thank you for reading and I hope you have a blessed crappie fishing month. Heading fishing and putting on my Stormr cold weather gear to keep me warm and dry.